Counted among the most cosmopolitan destinations in South America, Buenos Aires is a city that blends the vibrancy of modernity with timeless sophistication, art, history and old-world glamour. Walk down many of the city’s streets and you’ll find that the eateries and boutiques that line them are alive with these qualities. But stay in one of the city’s leading hotels and you will find these qualities not only alive but personified. The following are five hotels that embody the breadth and diversity of options for accommodations in contemporary Buenos Aires. Each has a unique personality of its own and each is, perhaps, in its own way, suited to a particular type of luxury travel. However, they all share in common a five-star appeal certain to leave no guest wanting. 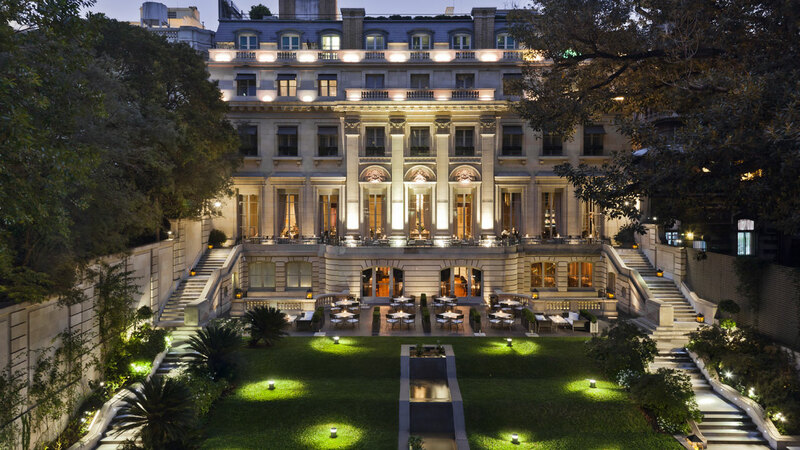 Palacio Duhau – Park Hyatt, Buenos Aires. Hyatt has worked hard over the years to ensure that its Park Hyatt brand is synonymous with the height of elegance and luxury. However, at the Palacio Duhau, in particular, their efforts reach an apotheosis. In this one exceptional property, the old and the new blend with staggering symmetry resulting in that rare instance where a hotel becomes a world, or rather a destination, unto itself. On the one hand, there is the property’s grand original palace. Built in 1934 as the private residence of the Duhau family, the neoclassical building recalls the splendor of another era. Dramatic chandeliers and lighting fixtures along with scores of marble welcome guests in regal fashion to the heart and soul of the property. In this noble, more social wing of the hotel, you’ll find the stunning Los Salones del Piano Nobile, a series of soigné salons where the walls are lined with restored original boiserie and the tables are filled throughout the day with a smart set of well-heeled locals and guests, many of whom are drawn to the very popular five o’clock afternoon tea service. Also located in the Palacio building is the clubby Oak Bar, so named for its walls which are lined with specially carved 17th century oak paneling taken from a castle in Normandy. Richly furnished and blessed with an inviting 28-seat bar, the Oak Bar provides the perfect meeting place for an intimate cocktail – be it for business or pleasure. And, like the Salones del Piano Nobile, the Oak Bar also features a terrace overlooking the exquisitely landscaped Palace gardens which are akin to a private oasis in the middle of the city. An elegant meeting place in Buenos Aires. Los Salones del Piano Nobile, Palacio Duhau – Park Hyatt. Across the gardens, on the opposite side of the Palace, is the property’s more contemporary addition which was completed in 2006. While the Palace houses some of the hotel’s most prized suites, the bulk of the accommodations are located in the more contemporary adjunct which is connected to the Palace via an underground art gallery known as the Paseo de las Artes Duhau. In addition to being a novel way to solve the problem of shuttling guests from one building to the other, there is also something intoxicatingly enchanting in the way the passage seamlessly transports guests from the best of one era to the best of another. Sleek and modern, the contemporary building is equally an oasis but with a more minimalist charm. Rooms are spacious, tastefully decorated and perfectly appointed with an array of amenities that are especially ideally suited for the business traveler. Combined with butler service, state-of-the-art technology and views of both the Palace and garden, even the standard rooms are a cut above. Finally, with the attractions, restaurants and shops of the Recoleta just steps away from this jewel of a hotel, you will find in it a perfect jumping off spot from which to explore the city or do business or whatever your visit may occasion. 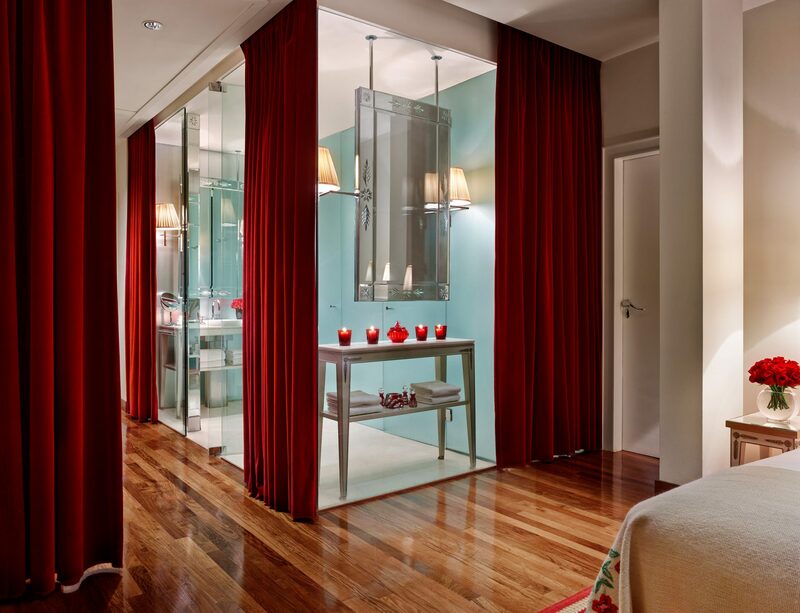 Master bathroom, Skyline View Suite, Faena, Buenos Aires. Breathtaking is the first word that comes to mind upon stepping inside the main entrance of the Faena Buenos Aires located in trendy Puerto Madera neighborhood. Clearly the sort of space that was designed to beguile, it miraculously still manages to exceed its remit. Towering swaths of red velvet paired with theatrical proportions and whimsical interiors designed by Phillipe Starck, welcome guests to the jaw-dropping Buenos Aires outpost of Faena Hotels. In a city largely defined by history, modernity is the tune to which the Faena plays. Sure, it may be built in what was once a grain warehouse but that is right about where the history lesson ends. 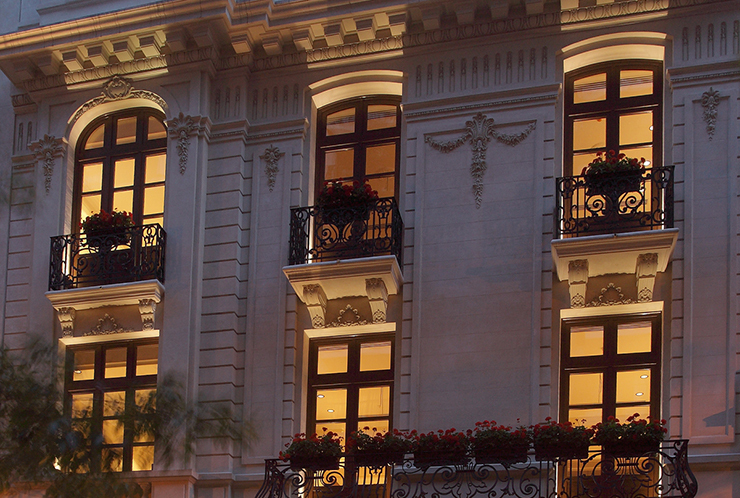 In fact, it might even be said the Faena represents a new breed of elegance in a rapidly evolving Buenos Aires. 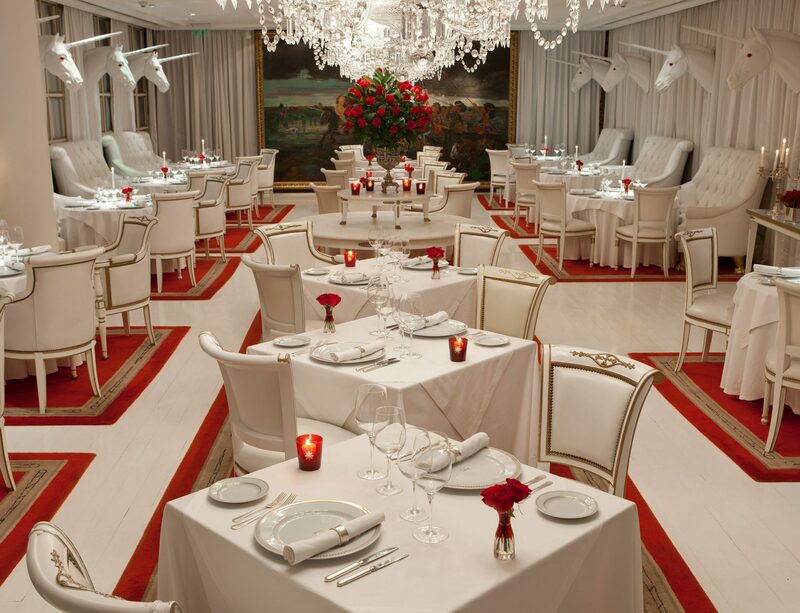 Bistro Sur, Faena Hotel, Buenos Aires. From its award-winning restaurants like Bistro Sur to its hipster lined “see and be seen” pool to its sumptuous rooms kitted out with custom-designed white leather furnishings, lapacho-wood floors and clawfoot bathtubs in majestic marble bathrooms, the Faena is like something out of a Baz Lurhmann-inspired dream. As an added bonus, the hotel also offers its own in-house entertainment in the form of its Library Bar and 1920’s inspired tango club El Cabaret. Rojo Tango, as the nightly dinner and show at El Cabaret is known, is a particularly a nice treat especially given that, for all its novelty, the Puerto Madero neighborhood feels a touch sterile in addition to being a bit far away from the livelier Recoleta and Hollywood Palermo neighborhoods. Thankfully taxis are cheap and plentiful and Uber is also an easily accessible option. Boutique exceptionalism. Algodon Mansion, Buenos Aires. A number of swank boutique hotels have sprung up around Buenos Aires in recent years, but the all-suite Algodon Mansion has earned a spotlight all its own. 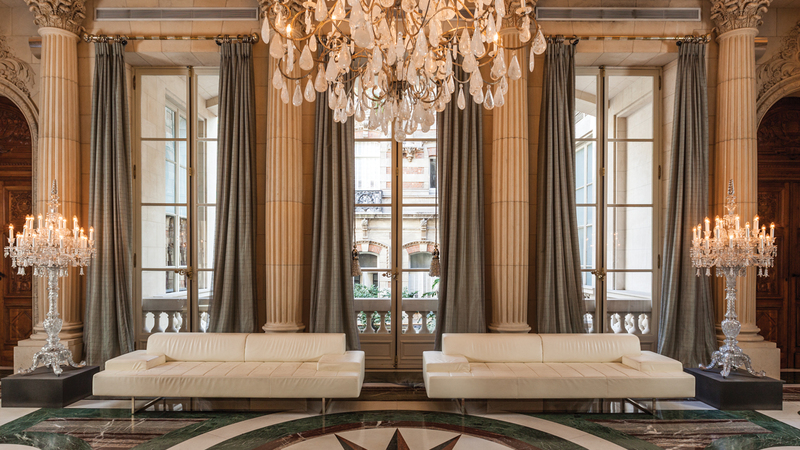 Located in a restored building of French Classical design in the Recoleta, the Algodon is a real gem of a property that will hold particular appeal for luxury lovers taking an extended stay in Buenos Aires as well as those who, like myself, enjoy living like a local. Of particular appeal is the Algodon’s discreet location on a quiet, upscale residential street. Just far enough away from the hustle and bustle of busy nearby thoroughfares to allow one to experience a different side of the city, it remains proximate to many popular hotspots and off the beaten path boutiques, cafés, and art galleries that might otherwise go undiscovered. In truth, hours of charm and amusement await in simply roaming the streets surrounding the Algodon Mansion. But, location aside, I would be remiss if I were not to acknowledged that it is in the interior of the hotel – in the accommodations – where the mansion truly shines. Every suite at the Algodon Mansion is uniquely designed. Beyond the subtly elegant lobby and wine bar on the main floor, each of the hotel’s individually designed suites is impressively turned out with sleek contemporary furnishings, hardwood floors, massive French limestone or Italian marble bathrooms, and an array of technological amenities guaranteed to make guests feel right at home. Moreover, every suite, boasts a separate living area, with some featuring working fireplaces and original artwork while others offers expansive terraces as well. In terms of entertainment, the Algodon packs a lot of punch for a boutique hotel. In addition to the aforementioned lobby bar where guests can mingle with locals and sample local entertainment as well as wines and fare produced from the product of the Algodon’s estates in Mendoza, there is a rooftop pool adjoined by a popular open-air bar and tented cigar lounge showcasing a menu of drinks from around the world. Finally, for the ultimate in relaxation, the rooftop also houses a full-service spa offering steam, sauna, and massage rooms along with a range of treatment options. Bottom line: If Algodon Mansion proves one maxim, it is that big, wonderful things can indeed come in boutique sized packages. The lovingly restored lobby of the Hotel Club Frances, Buenos Aires. 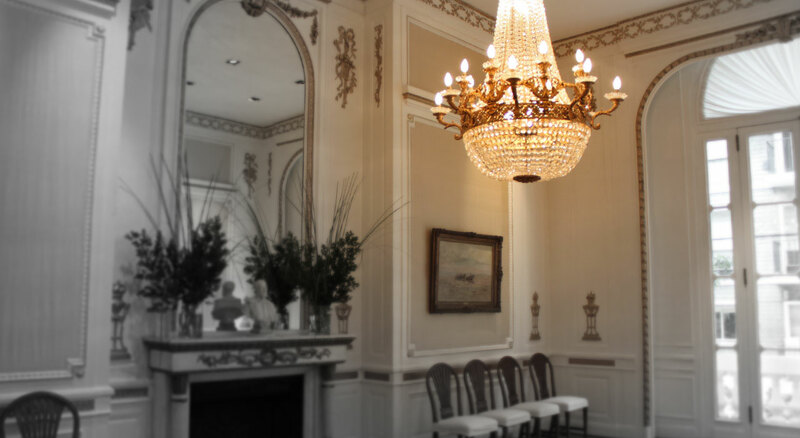 Step into the lobby of the Hotel Club Frances and you will feel the tug of history. Famously known as the original meeting space of the eminent members and guests of the former Club Francés (French Club), a community of prominent French-born residents of Buenos Aires, the refined space now known as Hotel Club Francés has, over the course of the last 150 years, notably hosted everyone from French Prime Ministers M. Georges Clemenceau and Dominique de Villepin to Nobel Prize Laureate Anatole France and HRH the Duke of Windsor. Today, as a private hotel, the original property combined with its newly constructed tower, maintains the standards and attention to detail that have made it a favorite among visiting VIPs for the last century and a half – albeit in buffed up environs that have returned a good deal of the original luster to Neoclassical structure. The grand lobby opens into a beautifully restored, yet still quite clubbish Mahogany paneled bar of the variety in which one might imagine the great minds of yesteryear plotting the future of modern society. Meanwhile a marble staircase leads to the hotel’s historic salons and meeting spaces, many of which are decorated with glittering chandeliers and restored works of art. As for the hotel’s 28 rooms, they are spacious and comfortably furnished in a manner that shows deference to the history of the property (think antique headboards and Belle Epoque-inspired furniture) but also nods and winks to the contemporary with mod cons including flat screen televisions and rainfall showers. Two Executive Deluxe Suites even offer a private sauna and jacuzzi while one of the Luxury Suites boasts a more than 1,000 square foot terrace in addition to a private sauna and jacuzzi. That this marvelous combo of luxe and history is located dab smack in the midst of the Recoleta is only an added bonus. The imposing Alvear Palace, Buenos Aires. 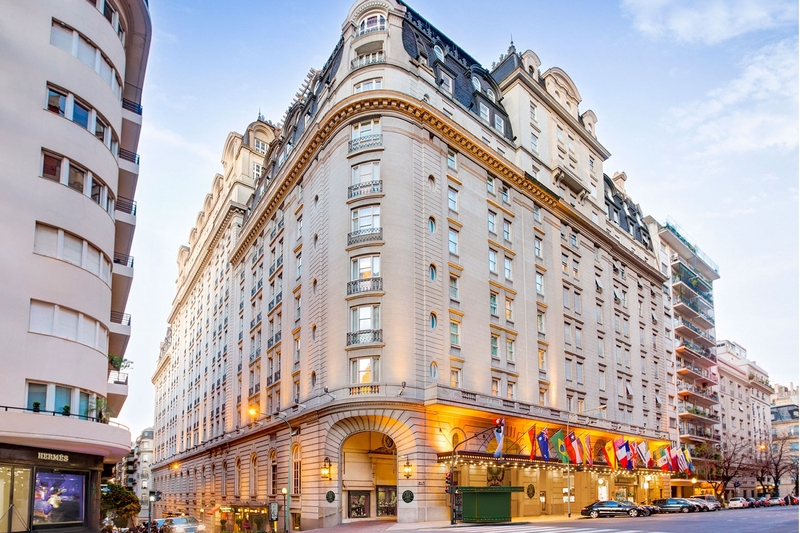 Every major city has a Grande Dame hotel and in Buenos Aires it is very clear that title squarely belongs to the Alvear Palace. Majestically (and appropriately) perched alongside some of the city’s most exclusive shops on Avenida Alvear, one of the most sought-after locations in the Recoleta, the Alvear Palace represents the penultimate in luxury in Buenos Aires. An abundance of gold leaf, sparkling crystal chandeliers, Louis XV and Louis XVI style furniture and meticulously uniformed staff welcome the arrival of guests which on any given day might include a president (France’s Jacques Chirac or South Africa’s Nelson Mandela) or a movie star (Tom Cruise or Al Pacino). But such arrivals are de rigueur for a grande dame hotels like the Alvear which is despite its grandiosity welcoming without pretense. Tis interesting to note that it is usually the yet to be proven pretender class of hotels that are the snootiest, while the true grandees are nothing but gracious to all. I’m sure there is some metaphor for life there but, as usual, I digress. 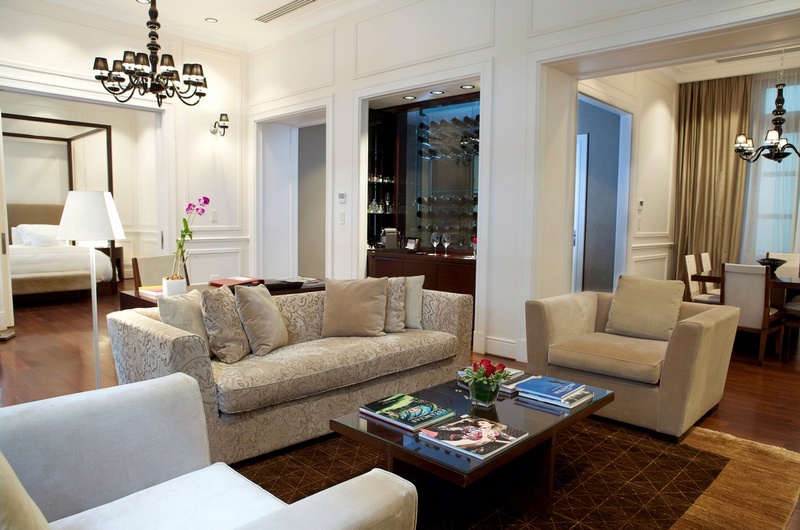 A Junior Lounge Suite at the Alvear Palace. 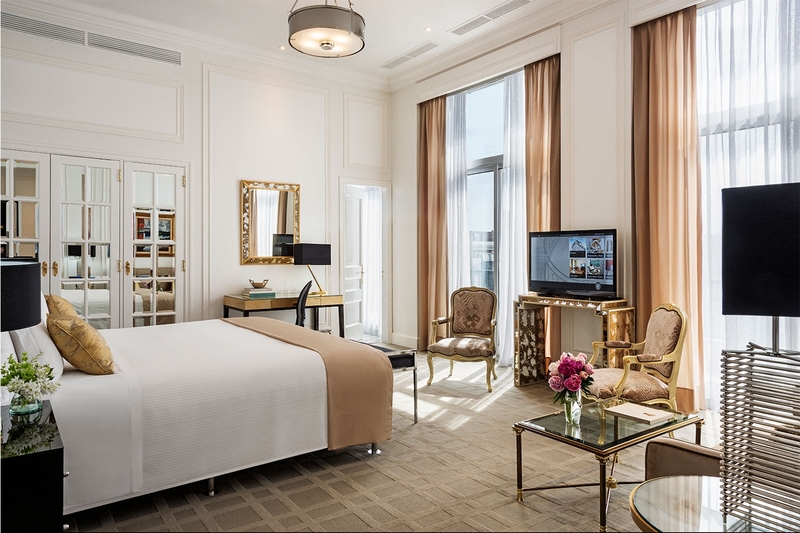 In terms of accommodations, every room at the Alvear offers shades of something special but the Lounge Suites and better are the real sweet spot. Clocking in at no less than approximately 500 square feet, Lounge Suites are strikingly appointed with contemporary furnishings that blend rather than detract from the architecture of the hotel. Meanwhile these especially exceptional accommodations also count among their prime amenities, butler service, complimentary ironing and bathrooms that are like sanctuaries in Carrara and Marquina black marble accessorized with separate tubs and showers and Hermés toiletries. Perhaps best of all, the Lounge Suites also offer access to the exclusive 1930’s inspired Alvear Lounge, an exquisitely outfitted corner of the hotel where guests can enjoy a complimentary petit buffet breakfast, a light buffet lunch, a glass of wine or a coffee, in a space more intimate than the hotel’s generally busier public spaces. Speaking of public spaces, there are a few at the Alvear that are not to be missed. 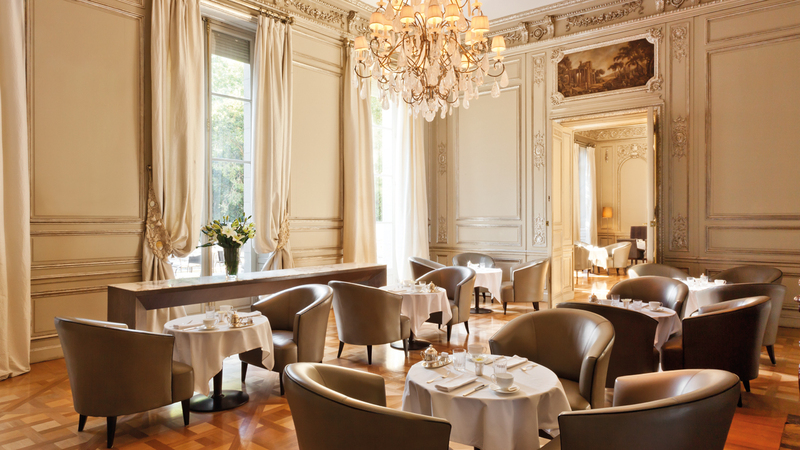 Chief among these is L’Orangerie, a staple among the Recoleta’s chic set, notable for its afternoon tea service, and La Bourgogne, the hotel’s haute French restaurant lorded over by Chef Jean Paul Bondoux. C’est magnifique. 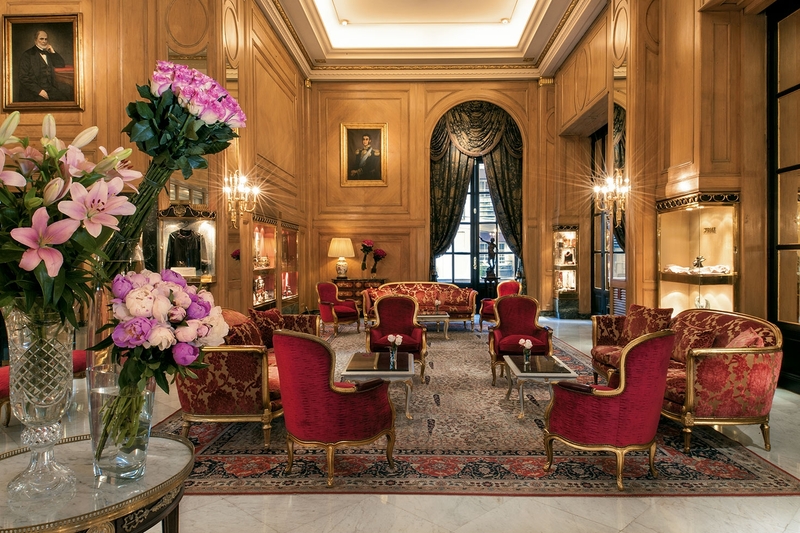 The romance of a bygone era greets guests in the lobby of the Alvear Palace, Buenos Aires.  To read this post on HuffPo, click here.